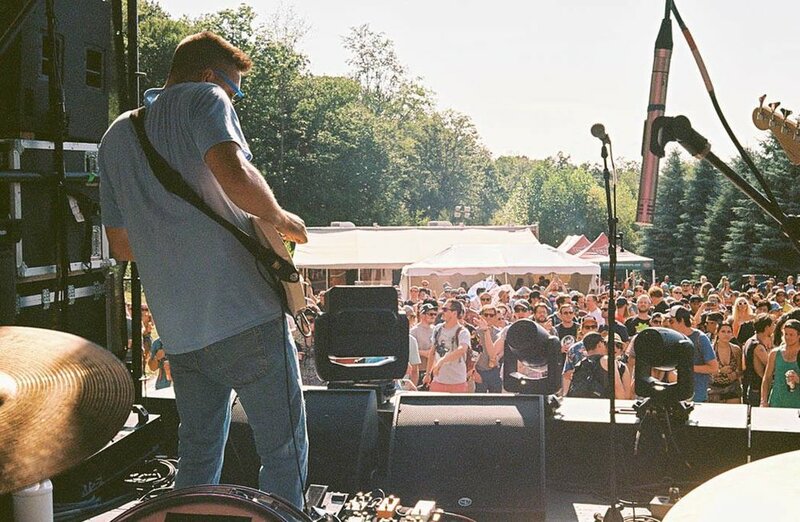 Jam bands need loyal fan bases in order to be successful and take their music to the next level. If you go down the list of the most popular jam bands, you’ll see that this fact is undisputed. From The Grateful Dead and Phish to The String Cheese Incident and The Disco Biscuits, each band has fans that are willing to follow them around the country. When you’re a young band coming up in this scene, you’re well aware of this, so you strive to create a movement that music lovers naturally gravitate to. It’s what makes or breaks a band and prevents them from hitting a plateau. Some bands develop a loyal fan base quicker than others, and for a young band, Space Bacon has had great success. I’ve had the pleasure of watching them grow over the last few years, and from the outside looking in, it's definitely been rewarding. From an objective standpoint, the buzz is real and their progress has been undeniable. They opened for Umphreys McGee at The Capitol Theatre and they helped Pigeons Playing Ping Pong sell out Brooklyn Bowl. 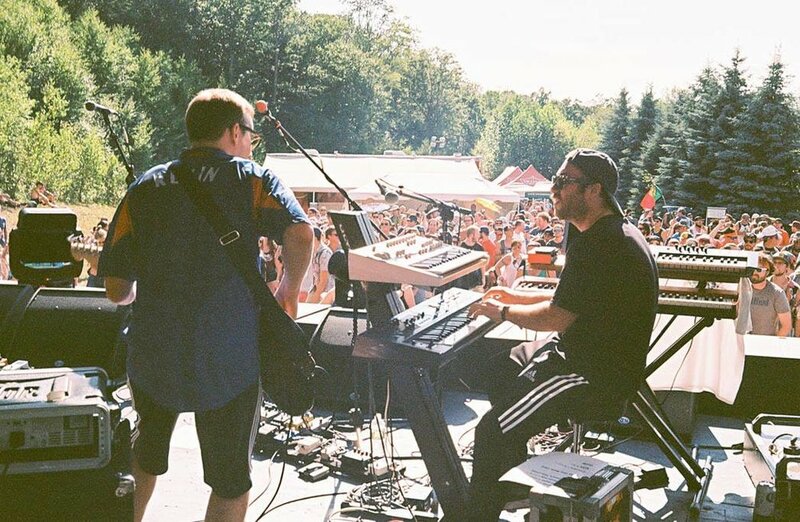 As a Brooklyn band, they’ve sold out shows in Philadelphia, and they just performed at Camp Bisco for the first time. By all accounts they’ve been putting in the work and deserve their current success, but they wouldn’t be where they are without their fans. Not many bands at their level have a fan base that’s as dedicated as theirs is. Sure, I continue to see new faces at every show and that’s impressive in itself, but that’s not what I'm referring to. I'm talking about seeing the same faces at every show, that's what sticks out to me as of late. And it’s not the same ten people, it’s the same fifty people, and that number continues to grow. Inspired and motivated by their predecessors, Space Bacon has written music and built a brand that people can stand behind with confidence. 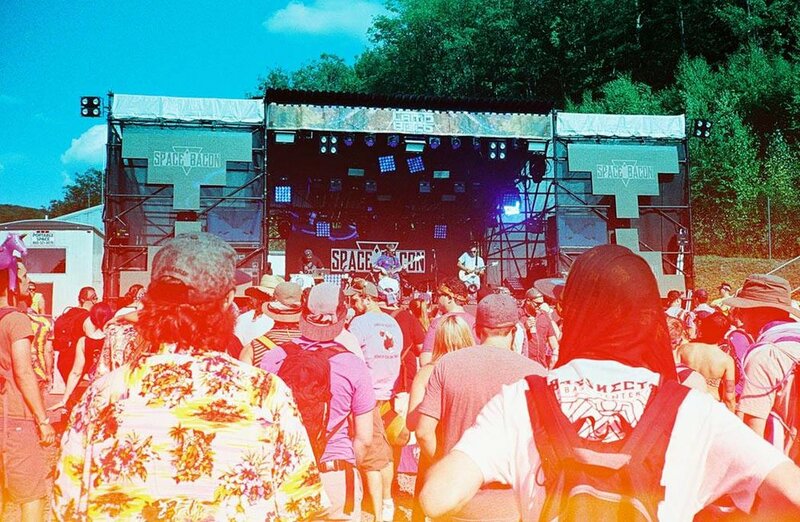 After playing a more than solid set in front of a sizable crowd at Camp Bisco, the band was pumped to use the momentum to their advantage at Farm Fest. To their surprise, the festival had some internal issues which lead to all of the bands being cancelled last minute. A good number of their fans had already bought tickets and were faced with an unfortunate predicament. 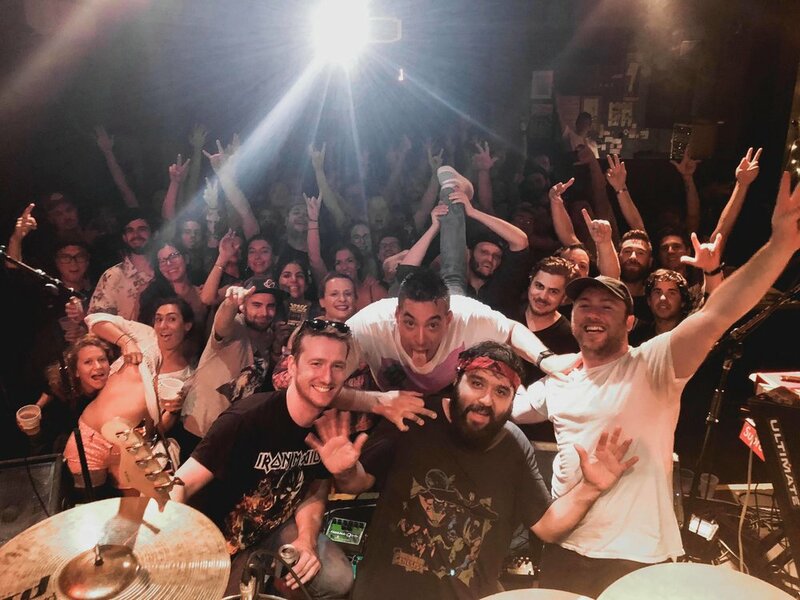 In the wake of Farm Fest, Space Bacon was forced to make a decision, cut their losses and apologize to their fans or get on the phone and find a last-minute venue to throw a pop up show. With outpouring support from their fan base, they chose the latter. Within twenty-four hours the band locked down a venue, sold their own tickets, and promoted it to the best of their ability. Crossing their fingers, the band hoped that fans would show up, and they did! Space Bacon’s fan base packed Gold Sounds out on a rainy night in Brooklyn and the energy was palpable. As the jams heated up, so did the room temperature, the dive bar transformed into an oven fueled by New York humidity and trance-fusion. The dance floor was rocking. People came from all over the northeast and the band couldn’t wipe the smiles off their faces. Their emotions were translated through their improvisation and it was an amazing thing to witness. To see Space Bacon and their fans come together to pull off a successful show on such short notice confirmed what I already knew, this band and their fans are special and unique. Within a twenty-four-hour window, they organized a show and threw down a proper setlist for everyone that came to see them. It made me proud to stand behind them as both a fan and a friend. When I asked guitarist Jack Willard about it, he said, “Nights like Saturday are what it’s all about, it reminded me why I love playing music. To see people having a good time and losing themselves in the music for a few hours is so rewarding. So, thank you Baconators, take care of each other and be happy and healthy!". 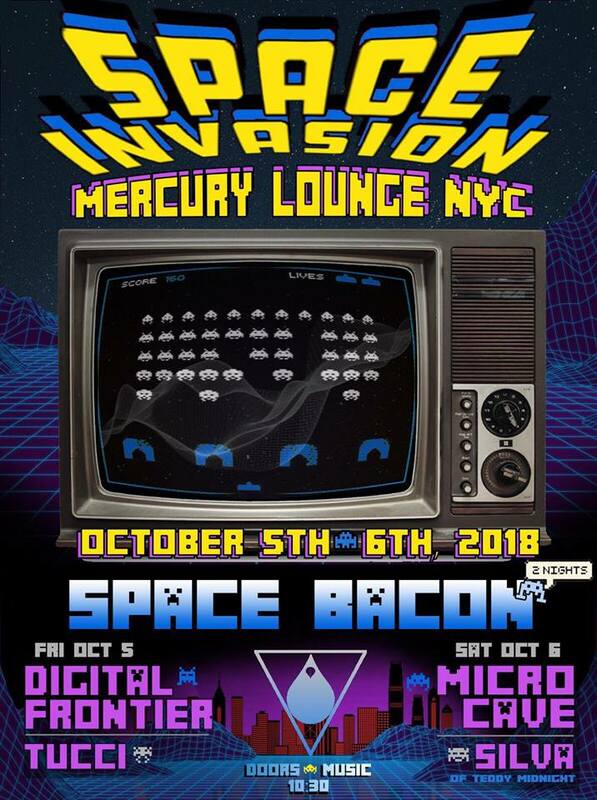 Space Bacon's first ever two-night run in New York City is taking place on October 5th and 6th at Mercury Lounge, do not miss this monumental run.